A new round of tests by The Washington Post suggests that we may see our new smartphones lasting less and less time when running on battery power in the coming years, with their results showing that newer smartphones cannot last as long on a single charge when compared to older models. To carry out the tests The Washington Post took multiple smartphones, released over the last few years, and set the screen brightness to the same level on all of them while forcing them to reload the same website repeatedly. As the test shows, newer phones, in general, were unable to last as long as older phones. 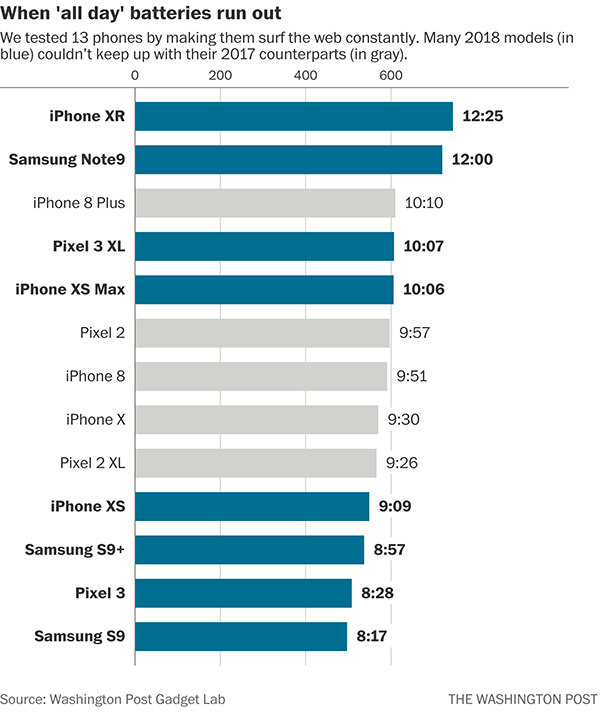 As an example, the iPhone XS ran out of juice 21 minutes before an iPhone X, and a Pixel 3 died a whopping 90 minutes less than its predecessor, the Pixel 2. There is, as ever, an odd one out. Apple’s iPhone XR topped the table with its LCD screen and claimed battery life of 25 hours of talk time, 15 hours of Internet use, 16 hours of video playback, and 65 hours of audio playback. It outlasted the Galaxy Note 9 and iPhone 8 Plus by some margin, although the former did get closer than Apple’s largest iPhone of 2017. 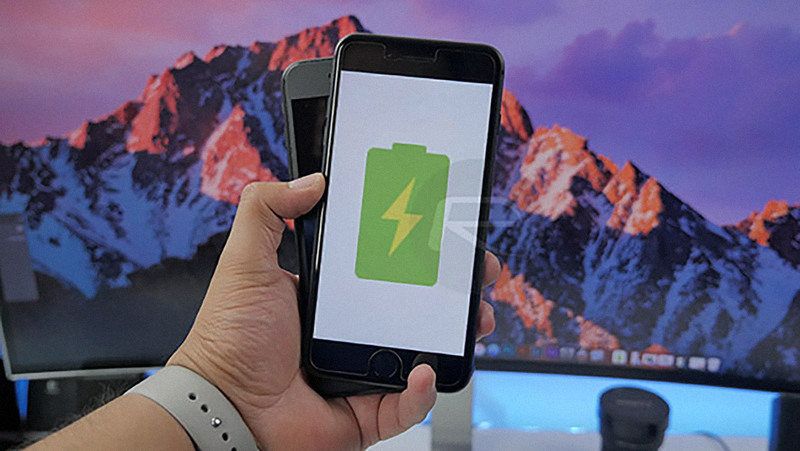 According to Nadim Maluf, CEO of battery optimization firm Qnovo, this is all thanks to the fact that battery technology is improving at a slower rate than the increase in power consumption that new phones are showing. It all further adds to the narrative that the iPhone XR may be the best iPhone for most people right now, too. Especially anyone whose main requirement is a device that will last as long as possible between charges.